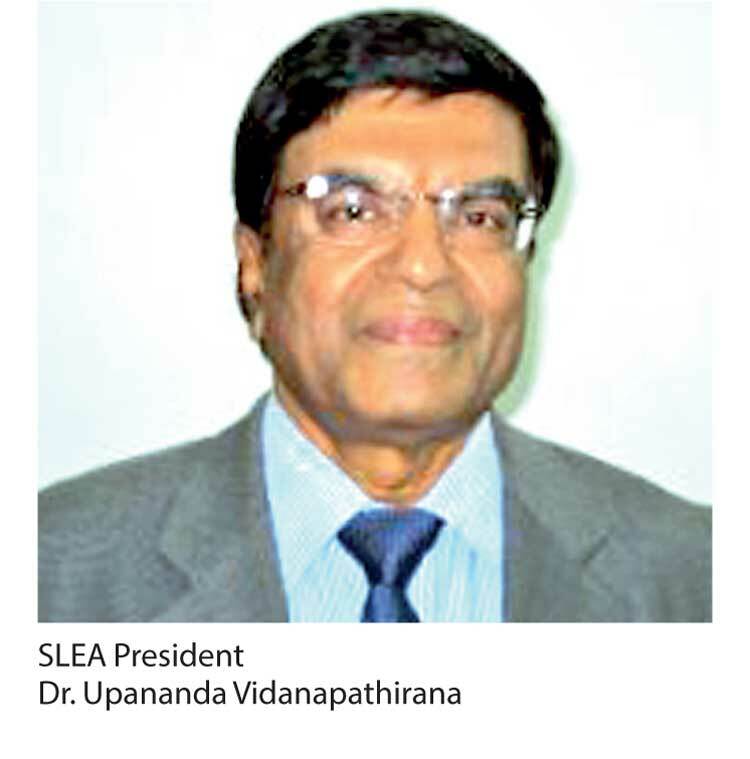 The Sri Lanka Economic Association, abbreviated as SLEA, under its new President Dr. Upananda Vidanapathirana, has ventured into generating public discussion of critical economic issues with a view to finding appropriate solutions for them. The objective? There are at least two. It would keep the public informed of the true nature of the critical issues, while getting the policymakers to act promptly. To facilitate this, SLEA has assembled professionals in the field to discuss the issues at public forums in the first instance. Then, the proceedings will be collated into policy papers which the policymakers can refer to when deciding on appropriate policies for same. The first such public discussion on the theme ‘Emerging Challenges in the Power Sector’ was held at the University of Colombo last month. Four professionals in the field were engaged as resource persons to introduce the subject to the audience. The audience, which fully packed the university auditorium, was receptive to the presentations as demonstrated by the active public discussion that followed them. It was a successful event and it is hoped that SLEA will continue this good practice of bringing economics to the general public. The target of the present Government has been to increase the country’s economic growth rate to 7% or above from the current rate of less than 5% which it had had for four years in succession and maintain it at this targeted level during the next 30 year period. It is a difficult task but not impossible if appropriate policies are adopted continuously and consistently. If the country is able to do so, it would enable it to become a rich nation within a single generation. Sri Lanka today is at the threshold of moving to an upper middle income country. But in its march toward becoming a rich country, it has to first prevent the country from falling into what is now known in relation to other such upper middle income countries as ‘the middle income country trap’. It requires Sri Lanka to acquire and adopt high technology. In the use of high technology, it should necessarily have ‘energy security’. In this context, the theme selected by SLEA is both apt and opportune. In the energy balance sheet of Sri Lanka, electricity has been the key element. It is being used as the main input for the entirety of the production processes of the country. Thus, Sri Lanka’s economic growth is highly sensitive and related to the availability of electricity as an input. According to an estimate made by the Central Bank in the late 1990s, Sri Lanka has to have a growth in electricity by 2% if it is to attain an annual economic growth of 1%. What it means is that when a factory or hotel, for example, is opened, it has to use electricity as an input at a much bigger volume than the physical output it produces. Thus, the 7% economic growth being targeted by the Government crucially depends on the development of the electricity sector to meet the future requirements of industry and commerce. In this context, an often forgotten factor has been the efficiency of delivering electricity to businesses and affordability of its price to them. Sri Lanka’s efficiency in delivering electricity to businesses has been far from the desired. Sri Lanka has been consistently ranked low in the Doing Business Index compiled by the World Bank and one reason for its low ranking has been the difficulty in getting electricity connection to a business. In the Doing Business Index for 2017, Sri Lanka’s overall ranking has been at 110 out of 190 countries. In getting electricity to businesses subcategory it has been ranked a little better at 86. However, the four criteria for assessing its efficiency in electricity delivery to a new business have shown totally dismal results. A new business in Sri Lanka has to follow five steps to get an electricity connection, according to the Doing Business Report. This is the same as the number of steps which an Indian new business has to follow but a little better than those in Bangladesh (nine steps) or Pakistan (5.4 steps). But countries like Singapore and Hong Kong SAR have further simplified the application procedures and been able to reduce the number of steps to four and three respectively. What it means is that Sri Lanka should further simplify the application procedure and make it more business friendly. However, the number of days which a new business has to wait in order to get an electricity connection has been frustratingly longer. According to the report, it takes 100 days or a little longer than three months for the electricity authorities to supply the connection from the date of application. Singapore does it in a record time of 30 days, while Hong Kong SAR does it in 27 days. Even India has cut down the waiting period to 45.9 days. Pakistan’s waiting time is longer than that of Sri Lanka with 180.7 days. What Sri Lanka should strive to do is to follow countries like Singapore or Hong Kong SAR. Even a single day’s delay is extremely costly to an enterprise which has already risked its money in a business. What the electricity board authorities should do is to help businesses cut down their time cost by improving its service delivery function. The most frustrating for a new business in Sri Lanka has been the initial cost of an electricity connection. It remains at 7.3 times the per capita income of $ 3,800 or $ 27,740. It comes to a staggering Rs. 4.2 million. With these high electricity connection costs, no businesses with thin profit margins or low yields will enter the business world. In comparison, in Singapore, it is only $ 13,000 or a quarter of per capita income, while in Hong Kong SAR it is only about $ 410 or 1% of per capita income. Even in India, the initial cost of an electricity connection has been $ 2,000. Sri Lanka’s cost is staggering and requires it to be revisited by the Government. With regard to the reliability of electricity supply and transparency in tariff determination, Sri Lanka’s ranking is low at 5 out of a best result of 8. In Sri Lanka, businesses as well as households are annoyed by frequent power disruptions. If power is disrupted when a manufacturing plant is on a job, its costs are enormous in terms of loss of output as well as failure to keep to deadlines. Not even an apology is delivered by the Electricity Board when such power disruptions have taken place. In both Singapore and Hong Kong SAR, the power supply has been perfectly reliable with scores of 8 and 7, respectively. Even India has scored 7 out of 8 with regard to reliability of power supply. Obviously, this is an electricity management problem. But the continuous disregard of the problem has dragged Sri Lanka down the Ease of Doing Business Index making it one of the most difficult nations with which to do business. The message conveyed is bad for both foreign direct investments – the lifesaver for Sri Lanka’s economy which is starved of capital and technology – and prospective local investors who are required to take the economy forward. When the matters are too difficult for businesses to sort out, it creates room for breeding bribery and corruption as well. It also generates an unsavoury culture – the culture of rent-seeking – under which people will just sit and earn unearned incomes without doing anything. Who is the culprit of all these bad effects? That is the Ceylon Electricity Board or CEB. It does not have to wait until it gets instructions from the Government to fix the problem. It has to do it on its own if it really means it when it pronounces that it does a valuable service to the nation. If it takes 100 days to get an electricity connection for a new business or if it costs a staggering Rs. 4.2 million to do so, who will have incentive to start a business in Sri Lanka? This delay and cost are specifically prohibitive for small and medium enterprises, commonly called SMEs, which are the flagships in Sri Lanka’s economy today. The Government is planning to promote SMEs by giving them tax breaks and introducing technology and a supply chain connection to them. But the whole strategy is defeated when it is difficult and costly for them to start a business in the country. CEB may be doing a good job of producing electricity. Thus, CEB has to reappraise its vision and mission in the light of the adverse findings in the Doing Business Report. None of the presenters at the SLEA s eminar under reference had drawn attention to this deficiency. The presenters had examined the energy sector from the perspective of future demand and supply and the need for moving into renewable energy sources as a strategy for sustainable development. It is a fair enough evaluation, but does not answer all the critical challenges faced by the sector. One critical challenge is how to ease the difficulty in getting an electricity connection for a new business as outlined above. Another is the high cost of electricity in Sri Lanka for industry and the commercial sector, compared to other competitive peer nations. A report prepared in 2014 by the Pathfinder Foundation of Sri Lanka together with KPMG for the Public Utilities Commission of Sri Lanka (available at: http://www.pucsl.gov.lk/english/wp-content/uploads/2015/01/Final-Report_Web-Publish.pdf) has documented the electricity tariff in Sri Lanka compared to some peer countries in the region. Accordingly, in 2014, a kilowatt hour or kWh of electricity had cost Lanka Rs. 17.80. This is less than the tariff in Singapore at Rs. 23.50, but that country’s per capita income is about 15 times higher than that of Sri Lanka. However, Sri Lanka’s electricity tariff has been a way higher than that in Thailand (Rs. 14.90 per kWh), Malaysia (Rs. 13.90) and Vietnam (Rs. 9.40) p 4. Thus, Sri Lanka knows its problem. What is missing is no action is taken to fix it. But the presenter after presenter at the seminar under reference had emphasised that, given the rising cost of producing electricity, it is inevitable to avoid a further increase in the electricity tariffs which would make competitive conditions worse. In 2014, the electricity generation costs had accounted for 85% of the average tariff and the balance 15%, the other costs. According to the statistics provided by Dr. Thilak Siyambalapitiya, the cost of production of per kWh has increased slightly to Rs. 18.27 in 2016. According to him, the average generation cost is most likely to increase Rs. 13.50 per kWh by 2022 from Rs. 11.75 in 2016. The reasons for this cost increase have been attributed to wrong decisions on the one hand and not taking decisions on the other. This should have been an eye-opener for the Chairman of CEB – Eng Anura Wijayapala – who himself had been a presenter at the seminar. CEB can cut down its costs by reforming its management system. It has employed thousands of meter readers who have to walk from house to house every month to read the meter of each user for billing purposes. CEB has tried to keep their salary bill at a minimum by either hiring them on a contract basis or sub-contracting them through employment providing agencies. But they have become the cause of protracted labour disputes for CEB. However, visual reading of meters for billing purposes in a primitive method of ascertaining electricity consumption by each user. When all the households and businesses in the country get electricity connection, it would be a Herculean task to cover all the users in time. A simple change in technology – that is, moving into digital meters – could save a substantial fortune for CEB. A second type of costs that could be avoided is the minimisation of production losses. According to Eng Anura Wijayapala, the production losses have been reduced successively by CEB from about 22% in 2000 to a little over 10% in 2016. However, this is also a high level of loss, compared to other nations. The main challenge of the electricity sector is therefore obvious. CEB has to take a holistic approach encompassing all the processes involved, rather than just concentrating on meeting the demand through increased supplies. If the system is inefficient, the more supplies delivered by CEB would mean greater losses to the nation. (W.A. Wijewardena, a former Deputy Governor of the Central Bank of Sri Lanka, could be reached at waw1949@gmail.com).